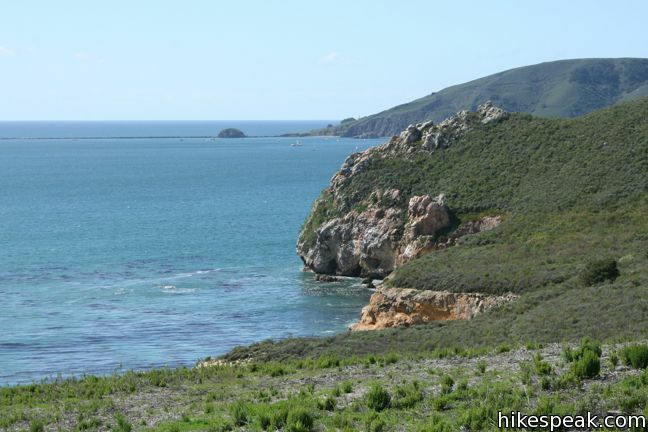 This half-mile round trip hike visits a small rock bridge at the end of a dramatic headland east of Avila Beach. 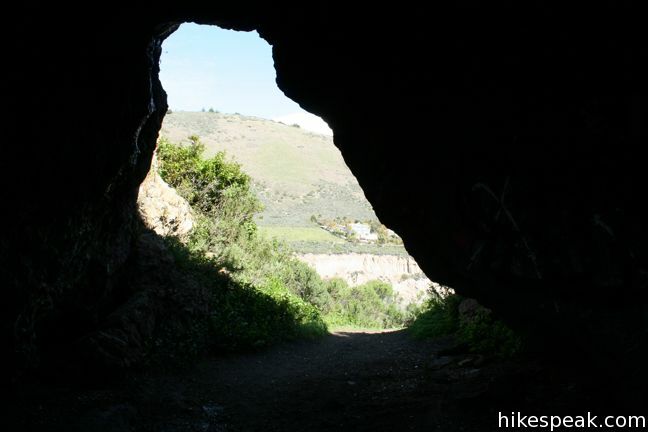 The hike down Cave Landing to the natural tunnel sometimes called Pirate’s Cave provides outstanding coastal views over the beach cities of San Luis Obispo County. 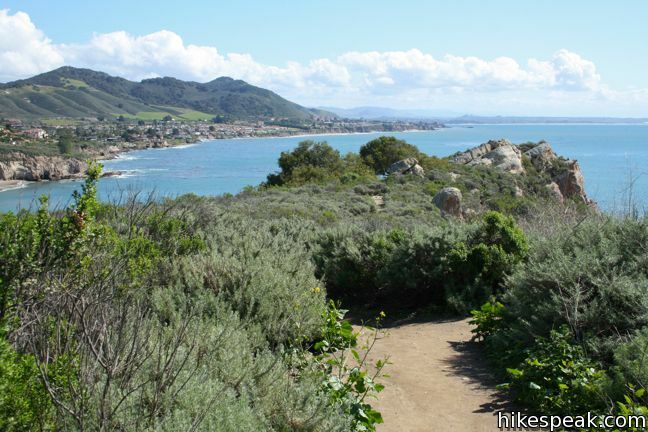 This is a short, easy, and enjoyable trek with 100 feet of elevation change – a perfect excursion for anyone staying in Avila. 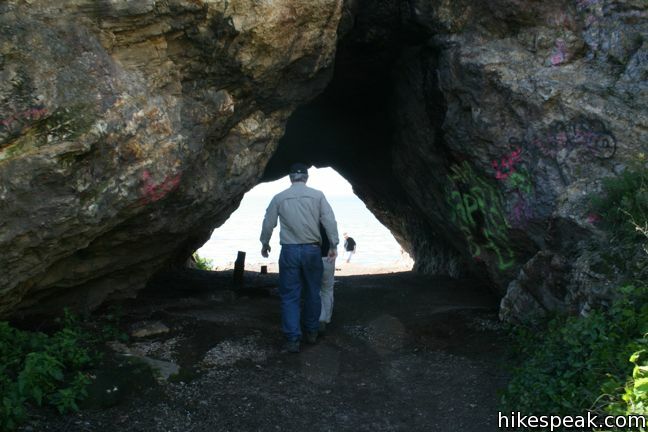 The adventure begins from a large dirt parking area at the end of Cave Landing Road just outside Avila Beach. 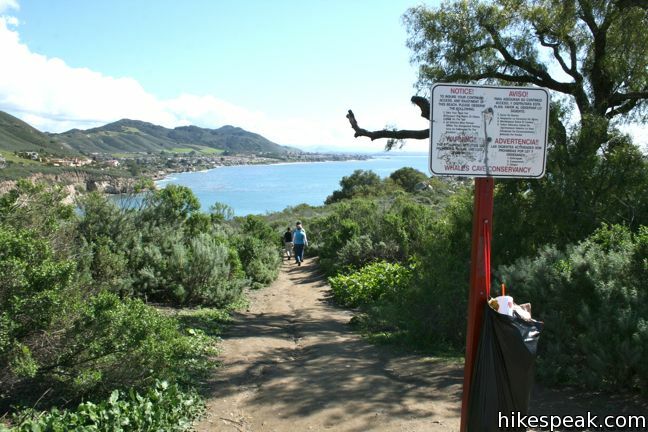 There are beautiful ocean views from the trailhead, and things only improve out on the trail. 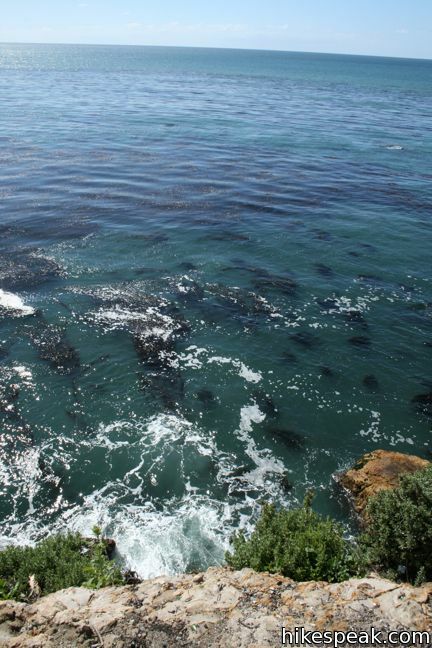 Pick up the southbound single track on the left side of the rocky point jutting into the Pacific. 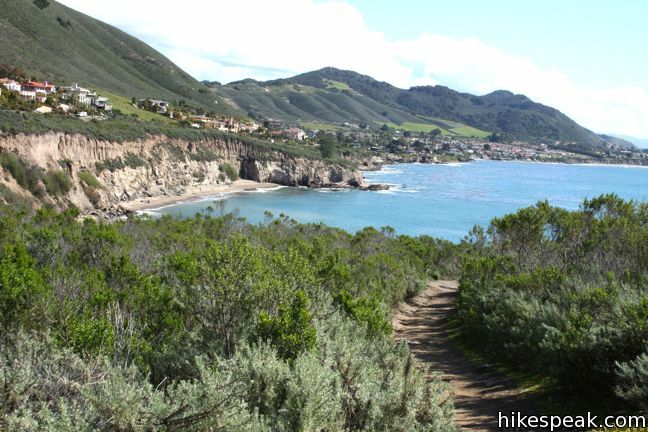 Coastal scrub lines the trail, leaving ample headroom for stunning views down the coast toward Shell Beach and Pismo Beach. After a short distance, come to a T-junction marked by a unique punched-out metal sign. 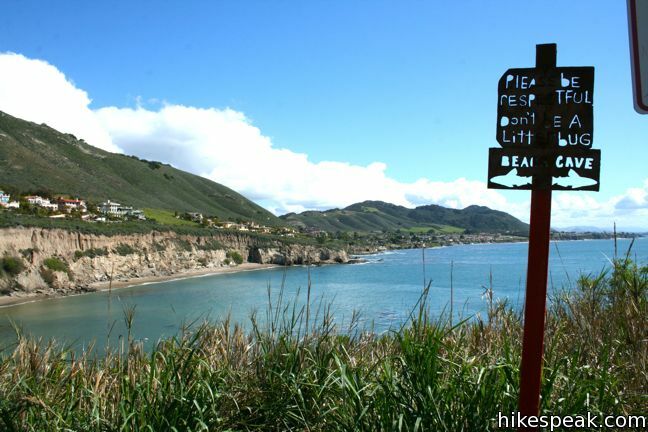 To the left, a trail descends to Pirate’s Cove, where you may see naked bathers enjoying this clothing-optional beach. Only hit the sands if you are prepared to walk the plank (or walk the walk). Turn right to continue to the natural twenty-foot tunnel at the end of Cave Landing. Walk through Pirate’s Cave to the ocean-view balcony on the other side. 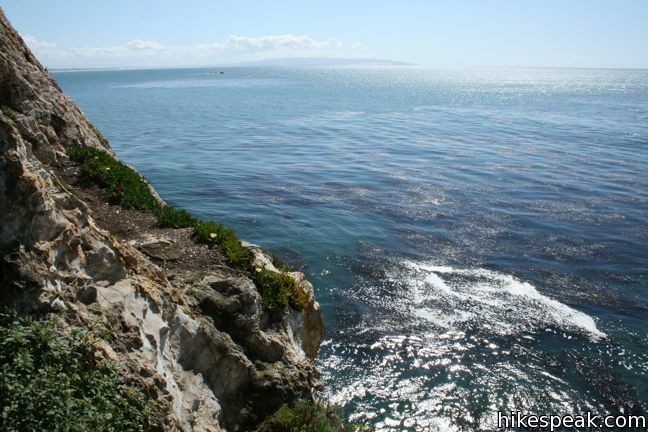 Peer out over the sheer cliff at the rocky shore below. 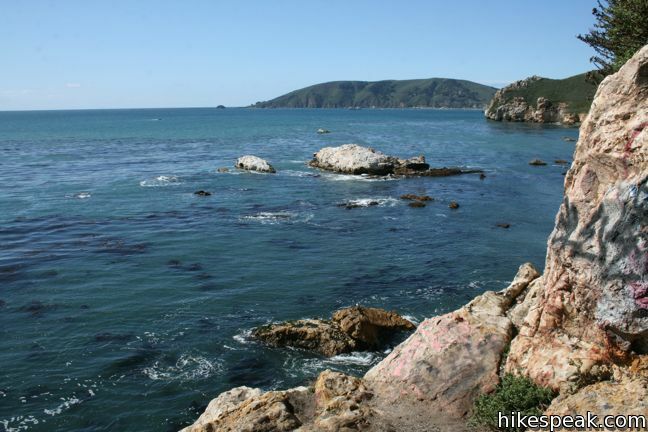 To the west is the rugged coastline of San Luis Obispo Bay including Whaler’s Rock on the far side of Avila Beach. Graffiti and broken glass mar the beauty of this short hiking retreat. In addition to nudists, this is also a popular casting off point for local fisherman. 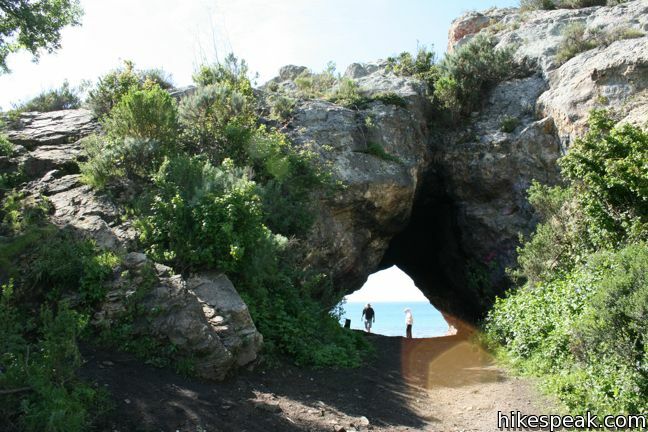 After taking in the cave, return the way you came for a memorable fifteen-minute hike. Nearby trails allow further exploration. 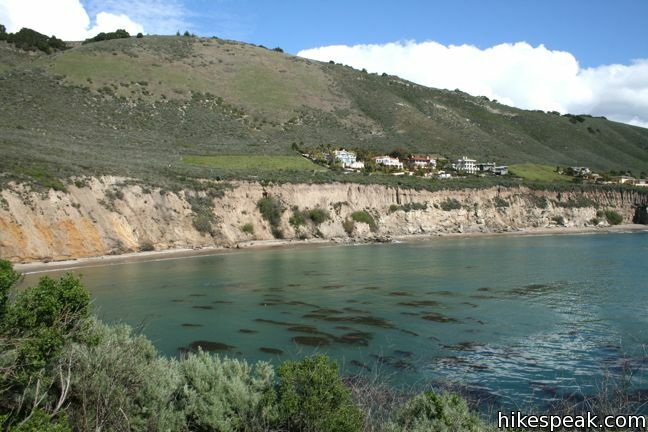 A single track travels down the top of the headland above the cave and other paths venture west across the bluffs toward Avila Beach. 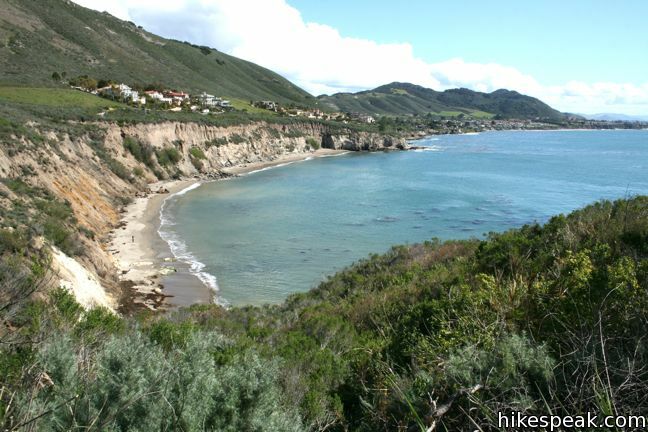 Shell Beach Bluff Trail heads east around Pirate’s Cove along a mansion-lined road to Shell Beach. Behind that is Ontario Ridge Trail, which explores the 700-foot ridge that rises over Cave Landing. 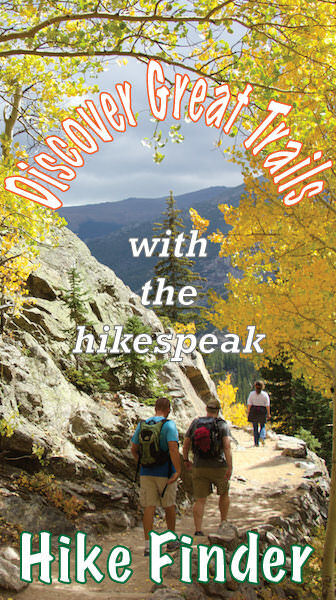 These trails may be hiked as a loop. 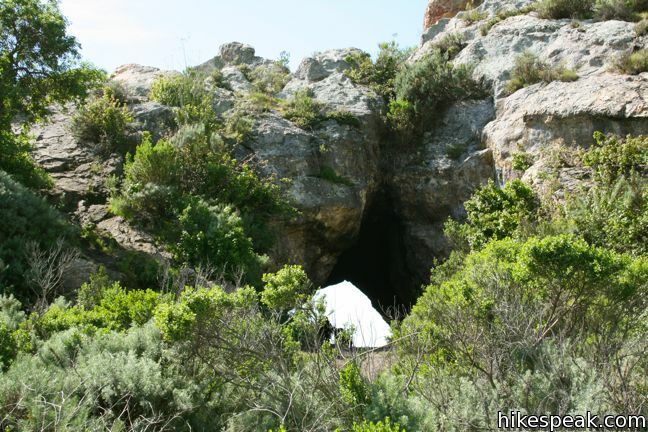 No fee or permit is required to visit Pirate’s Cave, so get out and enjoy. 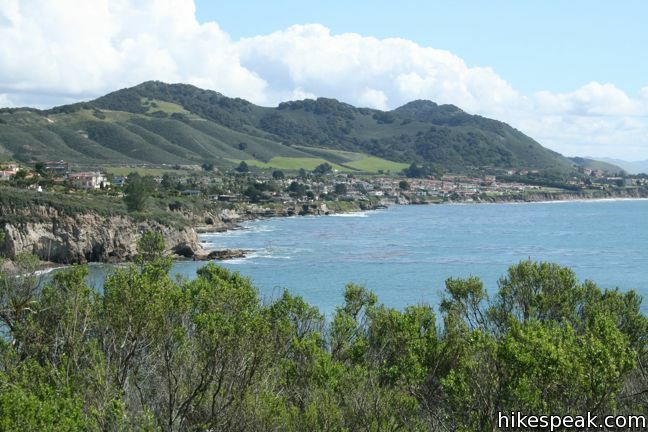 To get to the trailhead: From Highway 101, seven miles south of San Luis Obispo, exit on Avila Beach Drive and head west for two miles toward Avila Beach. A mile before the beach town, turn left up Cave Landing Road. Drive half a mile to the end of the road and pull into the large dirt parking area on the left. These photos were taken in February of 2011. Click to enlarge. 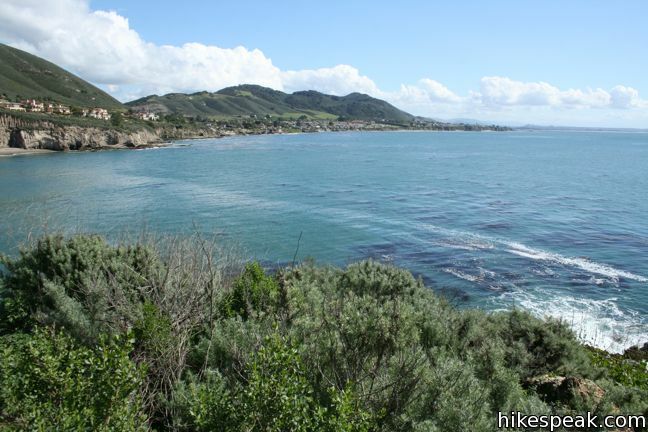 This 2.8-mile loop explores the coast between Shell Beach and Avila Beach, on and below a 700-foot ridge. Always looking for fun things to explore. The short walk was disappointing ~ even though the view was great! Trash and dog fescies littered the path . The cave has been graffitied. What a shame. Pirates cove is great and signs are posted everywhere for people not to litter or face a hefty fine; however, the parking lot was extremely littered and I can only guess it’s because no trash cans are available. Stop using gorgeous public places as your personal dump sites. Lets get some trash cans placed around the parking lot and see if people use them. I’m hoping that most people would want to treat beautiful areas like pirates cove with the same respect and regard as their own yards. What a beautiful place. It seems we have many laws that are not enforced. Perhaps enforcement of the $1000 littering penalty would make the area even more pristine. What fun it was to take my top off and stroll the beach without fear of being arrested.